Advanced Skincare... our Holistic approach... restoring your cell's health to function and look like your best self! 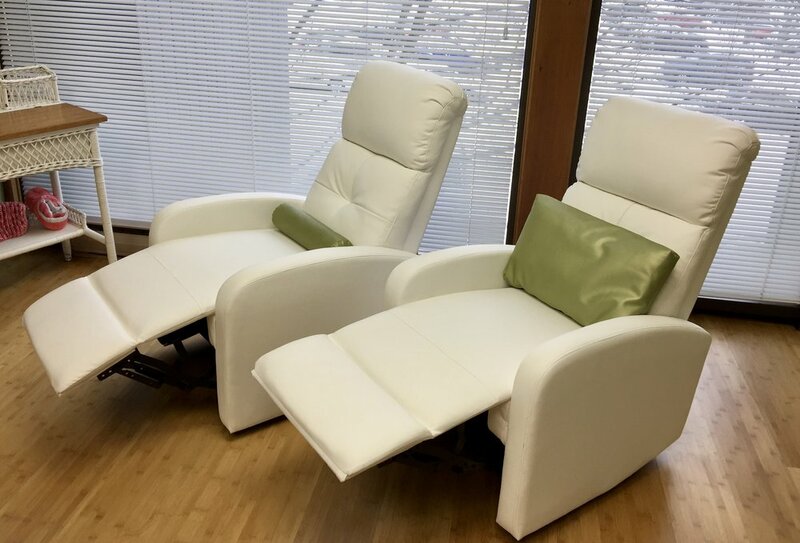 Receive your Blue Onyx TAMAbella, TAMAderma and LIGHTWAVE Prescription Strength Light Therapy treatments while relaxing in our comfy recliners. Semi-private setting... making your professional skin rejuvenation affordable! Whether you are in your 30s and looking for preventative care, 40s-50s needing age-reversal restoration, or have severely damaged skin we will help you reach your goals! Are you deflated by dry skin? Acneic? How about hyper-pigmented? Flaccid facial or body tissue? Resistant Rosacea? Scars need fading? Or perhaps you are Irritated from aggressive skin treatments such as chemical peels, IPL or micro-dermabrasion? Would you like to get MORE from your cosmetic injections? Or perhaps you are preparing for/recovering from cosmetic surgery and desire the BEST outcome with a reduced recovery time? Look no further... we can help! Schedule your consultation today! Recline & Restore services are for clients who are interested in achieving the best possible outcome for their skincare needs!. Therefore, an initial treatment series will be recommended followed by maintenance treatments to prolong your youthful appearance. All series must be prepaid, no exceptions.